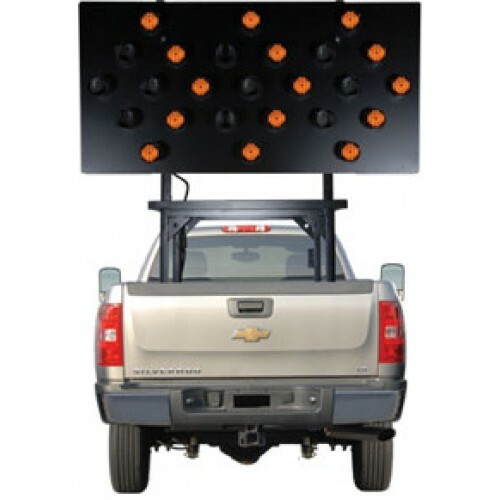 The Silent Sentinel is a 25 lamp Vehicle Mounted Advance Warning Arrow panel for traffic direction. Our most versatile directional arrow board, vehicle mount for ultimate portability ease of use. Installation kits available for vehicle mount include in-cab controls with or without auxiliary battery pack. There’s also an optional wireless remote control for this arrow board and solar array upgrade.